Inch size: Lgt. 2.40" Wd. 1.75" Hgt. 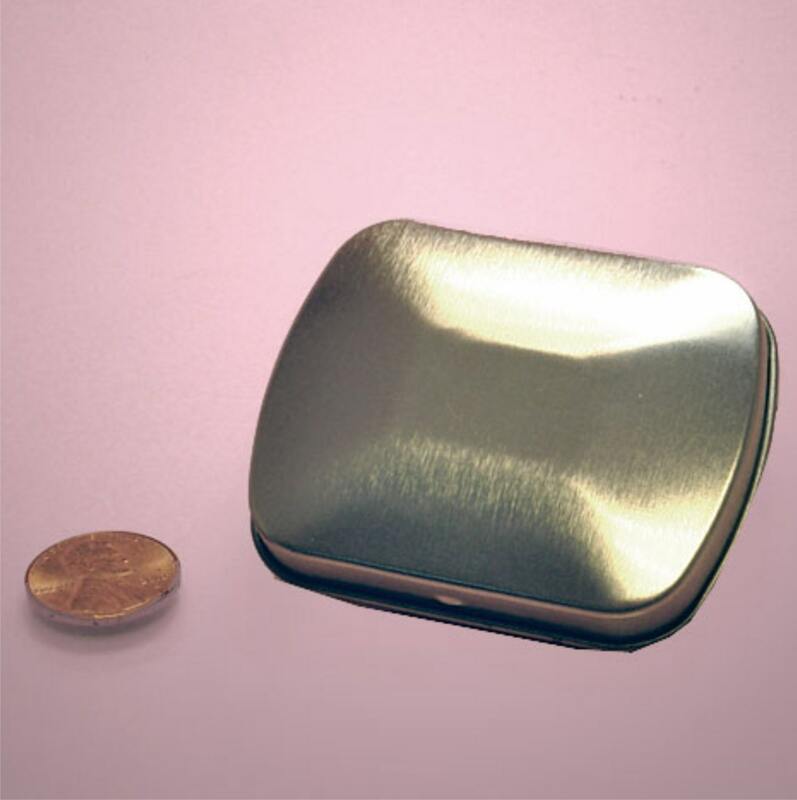 0.50"
The MagnaKoys® Mini-Curved Top hinge tins make for a great travel size container. The top and bottom are permanently attached so you never have to worry about losing the lid. The hinge top tins are great for containing products such as mints, candies, teas, herbs, and more! Creative Ideas for your Metal Tins: Gardening Container Idea Storing your seeds this season is simple with our metal tins. These metal containers have snug closures, and may help prevent germination by protecting the contents from light and moisture. Pill Container Idea Our hinge top metal tins are great for storing a variety of items, and could be the peerfect solution to storing vitamins and pills on the go! Whether for your purse, desk or travel kit, Organization Idea If you're looking for a great way to neatly organize your craft supplies, look no further than our metal hinge top tins. Other sizes and shape available in our store. Theses are nice. Great for holding magnets. But I can see using them for many purposes.